As Chief System Architect for Boeing Phantom Works International, Bruce Cornish is responsible for the systems engineering of new products in the autonomous systems domain. In this role, Cornish also supports the research and development of mission systems for defence products. With more than 30 years engineering experience in the defence and aerospace industries, Cornish has worked in senior roles on several large-scale system engineering programs for the Australian Defence Organisation including: Vigilare Air Defence Ground Environment, High Frequency Modernisation Program, Tactical UAV program, Jindalee Over The Horizon Radar program, and the Collins New Submarine Program. Cornish’s expertise and interests include: enabling technology for Unmanned Aerial Vehicle airspace integration; robust autonomy; wide area data links – utilising existing and disparate communication systems; and data fusion. He was admitted as a Technical Fellow with the Boeing Technical Fellowship in 2002. Cornish holds a BEng (Honours) from Royal Melbourne Institute of Technology. 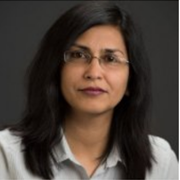 Dr. Fauzia Ahmad is an Associate Professor in the Electrical and Computer Engineering Department at the College of Engineering, Temple University, Philadelphia, USA. She has been a Principal Investigator and a Co-Principal Investigator on various research projects, focusing on radar signal processing and imaging, funded by various US federal agencies. Dr. Ahmad’s expertise and research interests lie in the areas of statistical signal and array processing, radar imaging, MIMO radar, passive radar, synthetic aperture radar, coexistence of radar and communications, direction finding, target localization and classification, and compressive sensing. She has seven book chapters and 220+ journal and conference papers in the aforementioned areas. Dr. Ahmad is a Fellow of the IEEE and a Fellow of the SPIE. She is a member of the Radar Systems Panel of the IEEE Aerospace and Electronics Systems Society, a member of the Sensor Array and Multichannel (SAM) Technical Committee of the IEEE Signal Processing Society, and a member of the IEEE Dennis J. Picard Medal for Radar Technologies and Applications Selection Committee. She holds a Ph.D. in Electrical Engineering from the University of Pennsylvania, Philadelphia, USA. Dr James Palmer is a co-founder and the Chief Executive Officer of Silentium Defence Pty Ltd. James is an internationally recognised subject matter expert on Passive Radar signal processing and system development. James graduated with a Bachelor of Engineering (Electrical and Electronic) and Bachelor of Arts (double major in Japanese) degree in 2002 from the University of Queensland in Brisbane, Australia. He received his PhD degree in Electrical Engineering from the same institution in 2007. 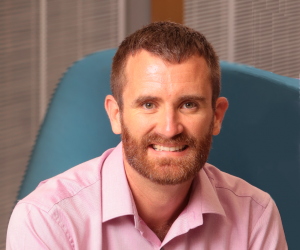 James joined Defence Science and Technology Group in 2006 where he established and led the Passive Radar research programme until November 2015 when he became the Specialist Scientific Adviser (SSA) for Integrated Intelligence, Surveillance and Reconnaissance. While in the SSA role, James continued to provide research leadership to the Passive Radar programme and also established and led the team that demonstrated the experimental viability of Passive Radar for Space Situational Awareness. James also has extensive experience with the development of imaging radar signal processing techniques and experimental validation of novel radar waveforms. James has also received commercialisation training through CSIRO’s ON Accelerate programme and is the inaugural recipient of the Stanford Australia Foundation CSIRO Scholarship. This scholarship is awarded to the ON Accelerate programme participant that demonstrates the greatest entrepreneurial capacity and supports further executive training at Stanford University. Dr. Jaime Lien is the Lead Research Engineer of Project Soli at Google Advanced Technology and Projects (ATAP). She leads a technical team developing novel radar sensing techniques and systems for human perception and interaction. In 2015 Project Soli publicly demonstrated the first pico-radar for fine in-air gesture sensing at Google I/O. Since then, Soli radar technology has enabled new modes of touchless interaction in consumer wearables and devices. Prior to Google, Dr. Lien worked as a communications engineer at NASA’s Jet Propulsion Laboratory. 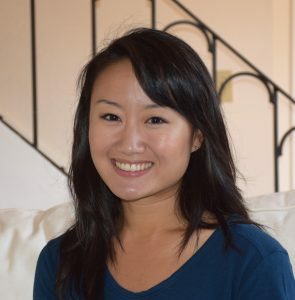 She holds a Ph.D. in electrical engineering from Stanford University, where her research focused on interferometric synthetic aperture radar theory and techniques. She obtained her bachelor’s and Master’s degrees in electrical engineering from MIT. Her current research interests include radar signal processing and sensing algorithms; modeling and analysis of the underlying RF physics; and inference on radar data. The Organising Committee are pleased to announce this two-part free public presentation which will be held after the Welcome Reception on Monday 27 August 2018. Click the icon for more information.